There's something to be said for kids and their outright honesty. Even though I'm not a fan of the times when Big Sister E comments out loud about the people we encounter in public, I hope that she grows up to always say how she feels and isn't afraid to speak her mind (just possibly with a little more tact). Therefore, using a 3-year-old as a product reviewer really is a perfect way of receiving a 100% truthful and sincere opinion on everything from clothing to toys to food. So when I opened the box to show Big Sister E her new shoes from Eleven Collection and she responded, "Let's wear these RIGHT NOW," I already knew that we had a winner. One glance and it's easy to see that Big Sister E was right. The Chloe Pink are the cutest Mary Janes around, featuring cute leather uppers in soft pink with cream trim and flower accents. The addition of the tiny cut-outs by the toes and the sweet hint of the green leaves come together to give these the right combination of casual and dressy while still being full-on adorable. For Big Sister E, her shoes have to also feel great on her feet and, fortunately for her, Eleven Collection is synonymous with comfort. 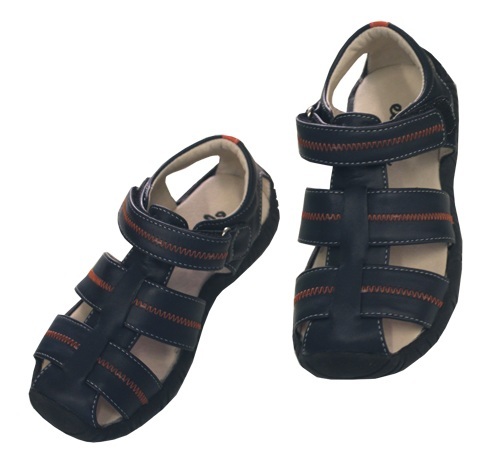 The leather is soft and smooth, the rubber sole is flexible and durable and there is plenty of traction to help keep her moving safely. Inside, the cushioned insoles give cushy padding all around and the Velcro closures allow for us to adjust the shoes to fit her perfectly (as well as making it so that she can put them on by herself). Additionally, a big plus is that shoes from Eleven are ready to wear right out of the box and don't require being "broken in." From the first time Big Sister E put them on, she was ready to go and I could tell by the way she was running and jumping that she was extremely happy with her new shoes. Considering they are the best of all worlds, how could she not be? As for me, I love the unique look of the entire line of Eleven Collection shoes. They are bright, unique, fashionable and versatile and run from a size 9 to a size 3 (for approximately ages 3 - 8. 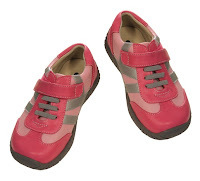 For pre- and first-walker shoes, Eleven has a fantastic sister company, See Kai Run). From dressy to casual, these shoes are not only stylish but don't look at all like the rows of generic shoes that you find in most stores. 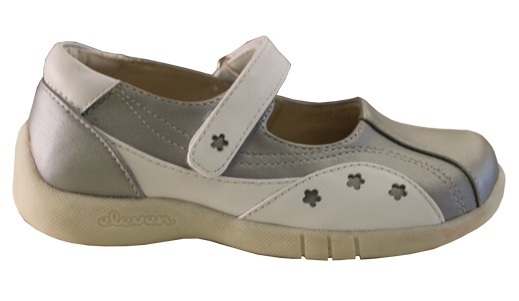 Their Spring/Summer 2010 styles will truly add just the right amount of color and flair to any outfit for boys or girls. When it comes to children's shoes, sandals and boots, Eleven Collection can be counted on for high quality, comfort and a premium look that will make a statement. They are continually adding more amazing new styles to their line and each season I am never disappointed in the originality and personality that each shoe entails. One lucky person will win their choice of shoes from Eleven Collection! ARV $50! To enter to win: Visit Eleven Collection and tell me which of their adorable pairs of shoes are your favorite(s). 1 Extra Entry (per method) if you follow Eleven on Twitter, become a fan (Like) on Facebook and/or send Eleven Collection your email information to join their mailing list. 3 Extra Entries if you blog about this giveaway linking back to Thanks, Mail Carrier and Eleven Collection. Please leave an address where it can be found. Giveaway will end on May 20th at 11:59pm CST. Do me the favor of leaving an email address or making absolutely sure it is visible in your profile, I have to have a way to contact the winner. The winner will be chosen by random.org and announced here as well as emailed and will have 48 hours to contact me or respond to notification or a new winner will be chosen. This giveaway is open to U.S. and Canadian residents only. A huge thank you to Eleven Collection for providing shoes for me to review as well as for one lucky giveaway winner. The opinions shared are my own and honest and if you really need to see more, click here to see how I roll. I adore the Rolando Brown. I also love the Eli Olive. I follow Eleven on Twitter (@Hobo_Mama). I am an Eleven Facebook fan (Lauren Wayne). The Laura shoes are my favorite. I follow Eleven on Twitter @mami2jcn. I'm an Eleven Collection Facebook fan under the name Mary Happymommy. I love the Nolan Browns. I like the Skylar Berry shoes. I like the Josie style! I would love to give my daughter the Chloe Berry shoes! I became an Eleven fan on facebook. I love the Nolan Browns!! The Skylars in Berry are my favorite. I follow Eleven on Twitter (ReizaM). I'm a Facebook fan of Eleven. I love the Skylar Berry shoes! I follow Eleven on Twitter! I am a Facebook fan of Eleven Collection! I think the navy Nolan shoes are cute for boys, and for girls I like the Chloe Berry shoes. I also love the Chloe Pink and the Astrid Berry. We love Eleven Collection! I am also an Eleven facebook fan! My favorite pair is the Chloe Berry. I follow eleven on twitter, @daer0n. I am a fan of Eleven on facebook. My favorite are Chloe Pink with the flower on the strap!! I LOVE LOVE LOVE the Simone boots! 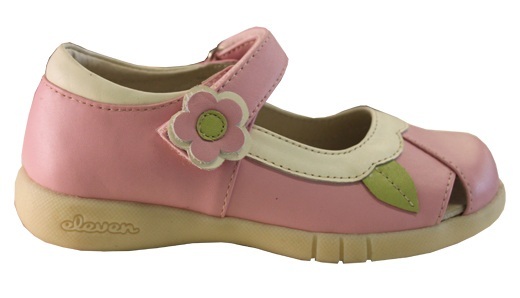 The Juni Blush shoes are adorable! Fan of Eleven on FB. I'm on Eleven's mailing list. I like the Nolan Navy boy shoes. 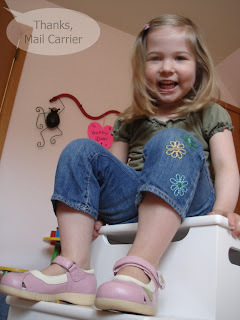 I entered the housenine blog makeover giveaway. The Rolando Brown sandals are my favorite. I'm already a FB fan of Eleven! I love the Cate in pink! I am now a twitter follower of Eleven.